WILLEMSTAD - On Wednesday, August 22, a total of 97 persons, signed the declaration of solidarity in the presence of the Governor of Curaçao in a naturalization ceremony. They have thus acquired the Dutch citizenship. 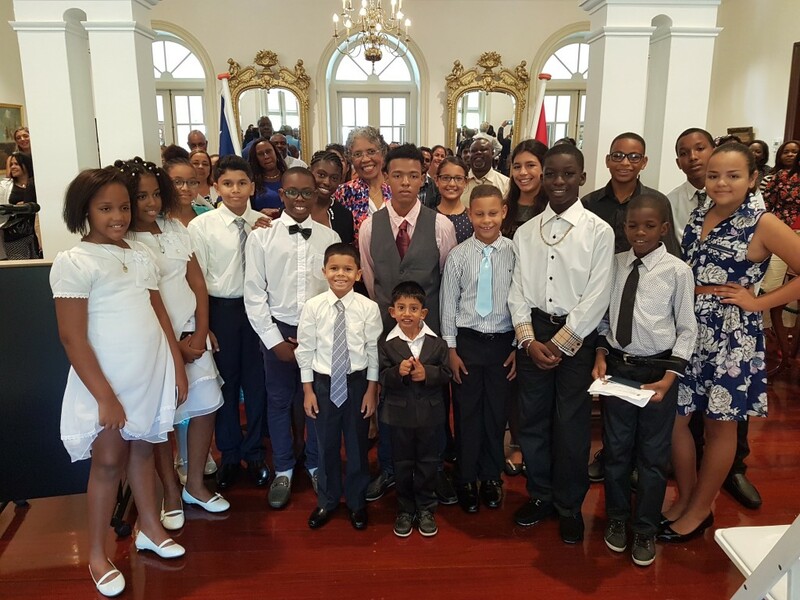 On the photo: The Governor of Curaçao, Mrs. Lucille George-Wout, along with children who acquired the Dutch citizenship at the ceremony on August 22, 2017, in the Governor's Palace.